While you certainly want to know if you have it, breast cancer detection is something that every woman dreads. Even though she knows that technology and treatment techniques are constantly improving, the fear of the unknown factors ahead is perhaps the most difficult to face. Learning about the process of detecting breast cancer and diagnosing it can go a long way in alleviating some of the inevitable anxiety. Early breast cancer detection is obviously ideal, and these days, it is usually a reality since doctors have become extremely proactive in routinely testing for breast cancer. At your regular checkups you likely receive routine breast exams, performed by your doctor. Many times, the first signs of cancer will be noticed during one of these exams, which will motivate your doctor to order more tests. You can also be proactive at home by performing regular breast self exams and checking for irregularities that may point to breast cancer (i.e. discoloration, lumps, or a change in the look, shape, or contour of your breasts). A wide variety of testing options are available to medical professionals today. There is, of course, ultrasound technology and the traditional mammogram, but strides have also been taken lately in the use of MRI, PET scans, digital mammography, electrical impedance scanning and even computer-aided detection (CAD). All of these technological advances make it much easier for doctors to detect breast cancer at its source. If, however, none of these scans can definitively detect the presence of cancer, a biopsy will effectively do the job. During this procedure, a surgeon will remove cells or tissue from the breast to check for cancer cells. This is a catch-all category for detection. 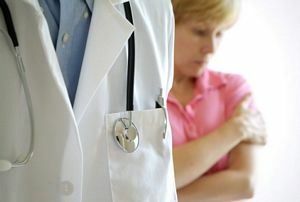 Once breast cancer has been officially detected, your doctor will give you a diagnosis regarding the kind of cancer you have and the stage to which it has advanced. Your treatment options will be determined based on these and a number of other factors. Treatments will likely begin quickly in order to stop the progress of the cancer as soon as possible. Once you have moved past the initial fear of breast cancer detection you will likely find yourself wanting more information about how you can get healthy. Cancer Fighting Strategies is designed just for this purpose: to help women get the facts and successfully treat their cancer with the most effective strategies and treatment options available. Take a look at CancerFightingStrategies.com today, and get on the road to recovery!